Elegant to look at, convenient to use and highly reliable, this Grand Plus water purifier from Kent will remove all your worries about unhygienic water from now. 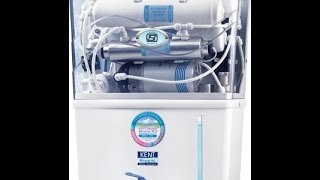 At flipkart.com you can purchase Kent Grand Plus TDS 8 L RO + UV +UF Water Purifier(White) for only Rs. 15,729, which is 2% less than the cost in Tatacliq (Rs. 15,998). 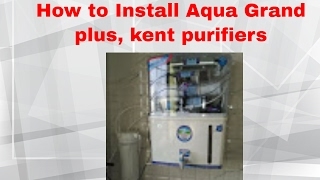 The lowest price of Kent Grand Plus 8L UV + RO + UF Water Purifier (White) was obtained on April 22, 2019 9:50 am. nice product…the water just tastes lovely…. Very good. Works as expected. Timely delivery and nicely packed. Item is good, good package and timely delivery. But until today the product is not installed because of service center issue. They are not keeping time. Fantastic product, quick before time delivery! Not a good product, only 2 weeks used..got repaired, past 1 week calling the customer service number, still no one visited and fixed the issue. It’s a really really high maintenance product. In the last 3 months, I have had to spend more than 10k just over spares. Surprisingly the parts gave up in a sequence. In between had to put up with bad attitude of servicemen, delayed services, no responses et all.Do not buy the product. Look for better alternative as the product itself is expensive and follows with a high maintenance cost.